According to data from the 2012 edition of the United States Pet Ownership and Demographics Sourcebook, nearly 60 percent of the households in the U.S. have some kind of pet. While annual visits to the veterinarian are essential, something as simple as a sting or insect bite could make him ill, requiring another visit to the vet. According to the Department of Public Health, there are numerous reasons that your pet may become sick and one of them is insect stings and bites. Insect stings and bites are painful and could be dangerous for you and your pets. To learn more about identifying and treating insect stings and bites on your dog, you can visit PetAssure.com, or Aardora.com for your dog. The Centers for Disease Control and Prevention state that dogs are extremely susceptible to tick bites. Cats are vulnerable too. These bites may lead to tick-borne diseases. While there is a vaccine available to protect your dog from Lyme disease, this vaccine does not protect against the other diseases that a tick carries. Currently, there is no Lyme disease vaccine for cats. Remember that even a vaccinated dog can bring infected ticks into your home. This puts you and your family at risk for contracting tick-borne illnesses. You should have an annual pest inspection done, as Orkin mentions. If you do have a pest problem, you can deal with it head on to ensure that you eradicate the ticks and other pests from your home and lawn. Watch for signs that indicate he is sick. These changes may occur suddenly or over a period of weeks or months. In his activity level – This may include loss of interest in toys and/or playing. Many times, inactivity is caused by mouth pain and/or arthritis. However, any illness can cause him to become lethargic. In his interaction with you – If he sleeps instead of meeting you at the door happily, he may not be feeling well. In his drinking and/or eating habits – Whether he eats/drinks less or more than usual is irrelevant, but any change in his habits could mean there is something going on. He may shift from one foot to the other and/or favor a particular limb. While many pets could stand to lose a bit of weight, if you have not increased his exercise or put him on a diet, weight loss could indicate a problem. Weight gain is also an issue that needs attention. The average body temperature of your dog is 101 to 102.5 degrees Fahrenheit. If you take his temperature and it is 103 degrees Fahrenheit or higher, he has a fever. If his temperature reaches 106 degrees Fahrenheit, serious complications can occur, and possibly death. The average temperature for your cat is 99.5 to 102.5 degrees Fahrenheit. Your cat has a fever if his temperature is 103.5 degrees Fahrenheit or higher. You can watch a video demonstrating how to take your pet’s temperature and learn more from animal and pet forums online. 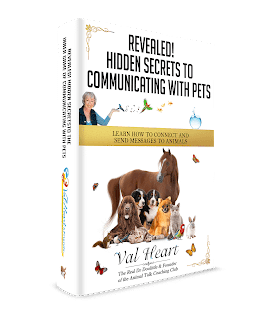 Val Heart, The Real Dr. Doolittle and Leading animal Communication Expert, Bestselling CoAuthor of The Live Sassy Formula, Founder of The H.E.A.R.T. System for solving problems with animals. Claim your Free Quickstart to AnimalTalk home study course – go to www.valheart.com. Knowing the signs of a sickness in your dog would be good for every pet owner. That way they can get their pup taken into the vet as soon as possible. If you don’t recognize the sings, and if you don’t look for them, the problem/sickness could get worse. If you are an aware owner, you should be able to take care of your pet.